Long haired dogs with their fuzzy hair are prized and desired as pets by anyone who likes their physical form. If you want one (or already have one) of these types of canines, then you should know the basic stuff like how to care for their hair, exercise or even learn a bit of their history. Hairy canines have at least three various sizes: big, medium and small. Below is a long haired dogs list that might have the pet you want. Depending on your liking you might want a big huggable pet, a regular medium or a small adorable cute tyke. So read one and know more about these breeds of hairy dogs. Afghan Hounds are big shaggy dogs with a very ancient bloodline that goes all the way back to Egypt. However, it was in Afghanistan that the breed was developed into what we see today. Since the Afghan nomads needed a dog that can hunt rabbits, gazelles, and foxes in the country’s harsh mountain terrain, they bred this canine for their hunting needs. For several centuries the Afghan Hounds (also known as Tazi, Baluchi or Persian Greyhounds) were not seen outside Afghanistan for centuries since the locals do not want to sell the canine to foreigners. Nonetheless, this big long haired dogs was brought outside the country to England first and then to the United States in the 20th century. Today the Afghan Hound is glamorous and famous show dog as well as a pet. The Ogar Afgan has a long silky coat on its body that protects it from cold at high altitudes. Afghan Hounds have an aloof and dignified expression on their exotic and proud faces. The dog also moves with spring and high elasticity. Since the hound’s hypoallergenic coat shed moderately, you will be cleaning its hair from time to time. A purebred Barakzai Hound will be gentle to any kids you have, though it may not be playful enough for them. The breed has an independent streak, but sensitive and not prone to demonstrative behavior. You can also expect the canine to be happy and clownish. When it comes to strangers, the hound is reserved or timid, and it likes to chase small animals. walks and jogs along with running in open areas with fences are favorite activities of your pet. Few large long haired dogs like the Briad can claim to be owned by famous historical people like Charlemagne, Lafayette, Napoleon, and Thomas Jefferson. Dating way back to the 14 century, the Briad or Berger De Brie was bred to be herding and flock guard dog. During World War 1, this big long haired dog was used to carry messages, deliver food and ammo, locate wounded soldiers, picking trails along with mines. Today, Briads are beloved pet companions, but you can still see its fellow canines working in police, military as well as search and rescue operations. 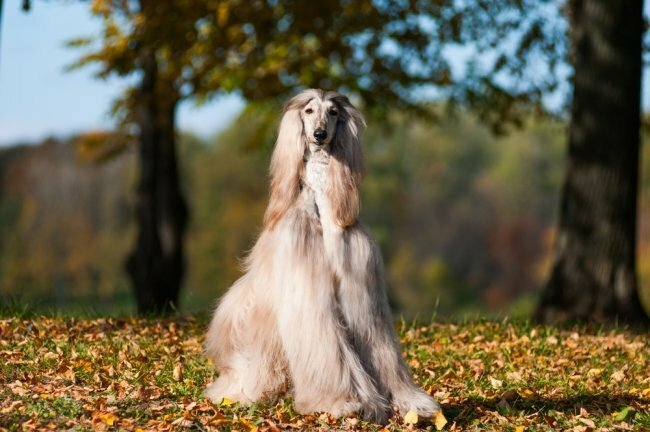 Briads have a non-hypo allergenic coat that is dry and coarse with long slightly wavy locks that lie flat. The undercoat is fine but tight, but the hair on the shoulders is 6 inches or longer. Vacuuming your dog’s hair is a must since it moderately sheds. A purebred Briad will be a loving, protective, devoted and faithful pet to you and your family. The breed is also intelligent and independent, but it’s more than willing to please you and likes to have adventures as well. When it comes to other dogs, Briads are aggressive (unless socialized) and are reserved around strangers. Kids can get along with the dog as well as being a watchdog. Take your pet out for long walks, jogging, running along with your bike or even swimming. Briads become restless and have problems with behavior with lack or exercises. The Collies are the prototypical long haired dogs that are bred for guarding and herding sheep. The origin of this canine is lost in mystery as well as the source of its name. There are records that in the 1800s that the early versions of the Collie were brought to the British Isles by the Celts. Later in that century, the dogs were brought to America. The current Collie you see today is the same kind of dog that was standardized in 1885. The famous canine actor Lassie is a Collie. Collies are purebred dogs with non-hypoallergenic coats that are divided into two types: rough-coats or smooth-coats. Both coat types have a soft undercoat that is abundant in hair. The dog shed heavily, but only twice a year. If you want a kid-friendly dog that understands human moods, the Collie fulfills those criteria. This big long haired dog breeds is also intelligent, friendly, proud and loving to their owners. As usual, your Collie needs daily exercise along with interactions with you or any human to be happy and fit. This dog is one of those hairy dogs that have lots and lots of hair compared to other canines. The purebred Old English Sheepdog is of British origin, but what dog it originated is unknown. Some say that Poodle and the Scottish Deerhound is the Sheepdog’s antecedents, while some think that it’s the Briad, Bergamasco or Owtchar. One thing is sure about the Sheepdog; it was bred by farmers living in the western counties of England to be a fast sheepherder and cattle driver. Some English Sheepdogs were used for herding reindeers. It was in 1873 that the canine was first shown to the public in Britain. The coat of this dog is non-hypoallergenic and continually sheds so prepare to clean up your pet’s hair regularly. 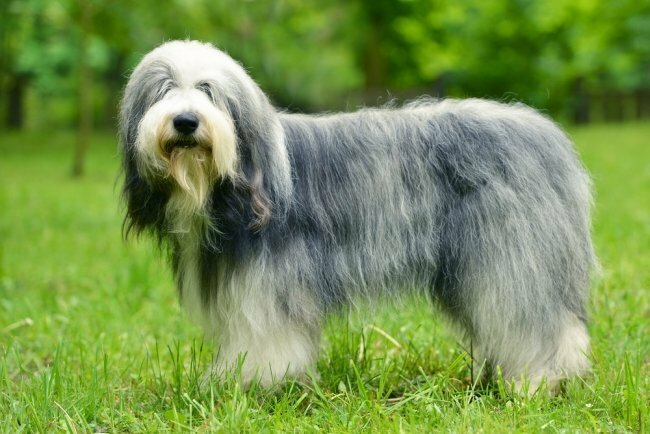 Unlike other shaggy dogs, the Sheepdog’s coat (has a hard, yet shaggy that is neither curly nor straight) is so thick that farmers would sometimes shear it make blankets and warm clothing from its hair. Adaptable, social and intelligent are some of the canine’s traits, and it can be quite a clown when it comes to you and your family. Take care that you don’t deprive your pet warmth and company. Sheepdogs are comfortable with an urban, suburban or apartment life as long as they get their daily exercises via walks, jogging or cycling. A Komondor is a long-haired dog that is descended from the canines of Tibet. Initially, people think that the Komondor was brought to Hungary by the Magyars, but new studies have shown that it was the Cumans. The name of the canine itself is translated as “Koman-dor” which means “dog of the Cumans.” The gravesites of the Cumans show a lot Komondor remains which indicate that this breed was valued for protectiveness in guarding their masters’ flocks. Eventually, Komondors spread throughout the globe, and by 1920 they began to appear in doggie shows. The coat of Komondor is well-suited for outdoor weather since it has a coarse wavy or curly coat and an undercoat that is wooly as well as dense. Additionally, due to the appearance of the Komondor’s skin, it can blend in with the flock thus allowing the dog to pounce on predators. If you are the canine’s master, it will be devoted to you and your home. A Komondor will defend you from danger making it an excellent house guard dog. The breed is also brave, eager and playful, but wary against strangers. Your pet will do well in an apartment as long as you give it some daily exercise that is sufficient for its needs. Nonetheless, an outdoor country environment is a better option. Many long haired dog breeds like the Bearded Collie have interesting origins. The breed’s foundation began in 1514 when a local Scottish shepherd traded a ewe and a ram to a Polish sea captain for three Polish Sheepdogs. The shepherd crossbred the three canines to other breeds like the Old Sheepdog and Komondor. 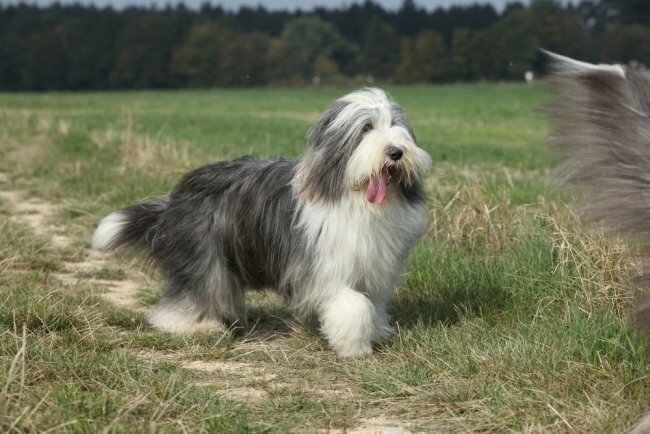 Bearded Collies are excellent animals for herding cattle and sheep for their Scottish masters for centuries. However the breed nearly became extinct during World War 2, but Mrs. G. O. Willison of Great Britain saved the Highland Collie from such a fate in 1944. The USA had its first litter of Bearded Collie puppies in 1967. 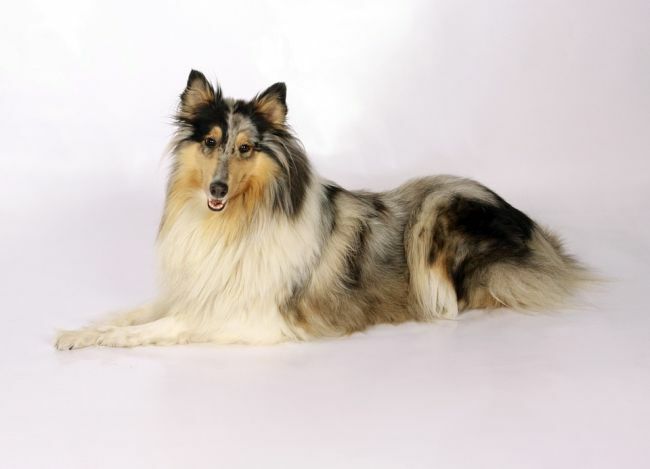 Bearded Collies are considered rare purebred animals even today. The dog’s non-hypoallergenic double coats has an undercoat that is soft and furry, while the outer skin is straight while flat and harsh. What makes the Bearded Collie distinct from other hairy dogs are the long hairs on its chin. These hairs give the animal a “bearded” look hence its name. You will live this dog for its playful, lively, energetic and enthusiastic personality. The breed is also an independent thinker but is intelligent and obedient to you. If you had kids, they will get along with the Highland Collie, though it may try to “herd” smaller children. This canine do not do well in small living spaces or apartments. As usual, walking or running are good for your pet. Your Highland Collie can also do herding, tracking, agility, competitive obedience and other tricks. Many hairy canine breeds have ancient origins that have more than one version. Take the Polish Lowland Sheepdog; some say that it is descended from the old herding breeds from the plains of Hungary. 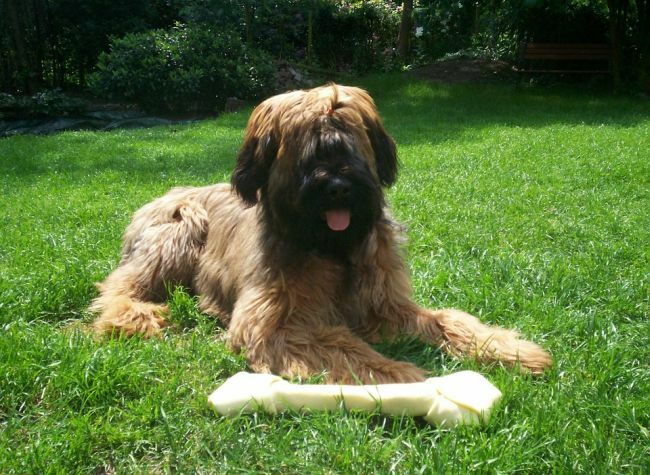 Other stories say that Polish Lowland Sheepdog is related to the Lhasa Apso and Tibetan Terrier. Like some dog breeds that are long-haired, the Polish almost got extinct during World War 2, but after the war, some Polish Breeders saved the canine. Currently, this dog is famous in and out Poland. Polish Lowland Sheepdogs are both pet companions and great herders. Good news if you have hair allergies; the Polish’s coat is hypoallergenic so no need to worry about its hair. The animal’s coat provides excellent protection weather due to it being long, dense, shaggy and double-layered. Due to centuries work as a shepherd dog, this breed will be loyal to you as well being lively, affectionate. Children and other pets will get along with the Polish, though it will stand its ground when confronted by another canine. Exercises along with having jobs will allow the Polish to live comfortably in an apartment. Make sure that you give your pet plenty of stimulation like tracking, agility and obedience activities. Though France is this shaggy dog‘s official country of origin, the Poodle, its roots lay all the way back to Central Asia. Poodles of the German kind are the most influential when it comes to other Poodle-type dogs. Duck hunting, guiding and later on being circus performers were some of the Poodles purposes. The reason why the Poodle is officially French in origin is due to old French aristocracy adopting the canine as their own. By the 20th century, this purebred breed has made its way to the US and is now a favorite pet. Many medium or large long haired dogs are recognizable due to their coats. 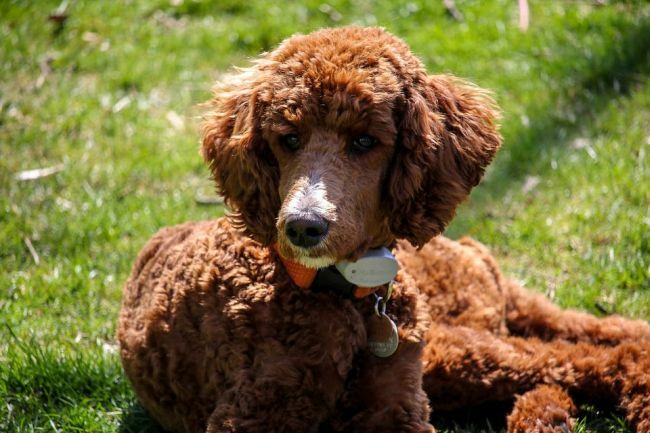 The Poodle’s distinct hypoallergenic coat is recognizable for its harsh, dense, curly coat which is either clipped or corded. Surprisingly, the coat shed little hair, so you don’t have to worry about cleaning up on a regular basis. A Poodle loves your companionship and will interact or socialize with you or your family. Due to the breed’s intelligence, you can quickly train it. Also, your Poodle will love interacting with any kids. Whether you are living in a house or an apartment; the Poodle will do just fine. You can take the dog out for a walk, and it likes to swim in water. You can also teach your pet a lot of games and tricks. 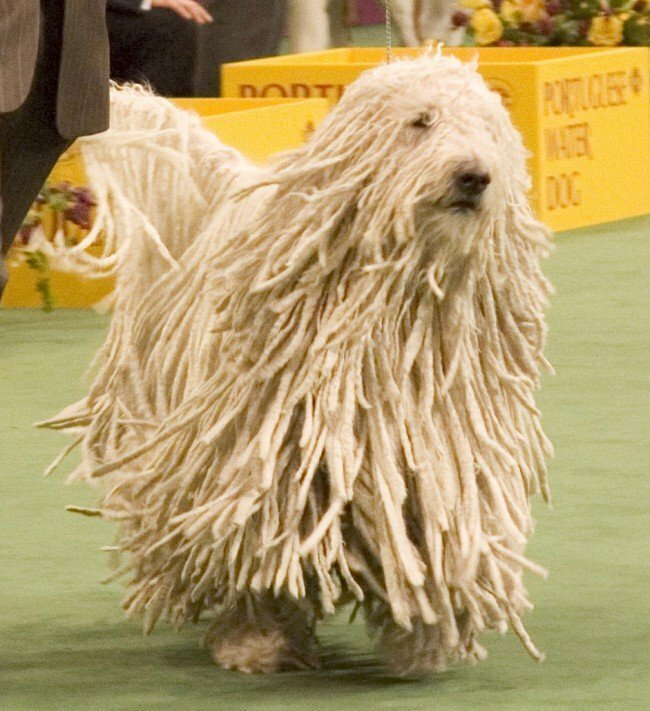 The Pulis are one of the many hairy dogs that originate from Hungary and are a fixture of Hungarian shepherds for at least 1000 years. Early in the breed’s history, the coat colors determined their jobs. Small dark-colored dogs were used to drive and herd sheep in the daytime, while the larger light-colored canines guard the flocks at night. Pulis have hypoallergenic weatherproof coats that have a wavy or curly coats and a dense undercoat that is soft and wooly. The hairs are either round or flattened cords. Being headstrong, tough, smart and curious are the traits of a Puli. When it comes to you and your family, the dog can be protective, watchful as well as alert to danger. 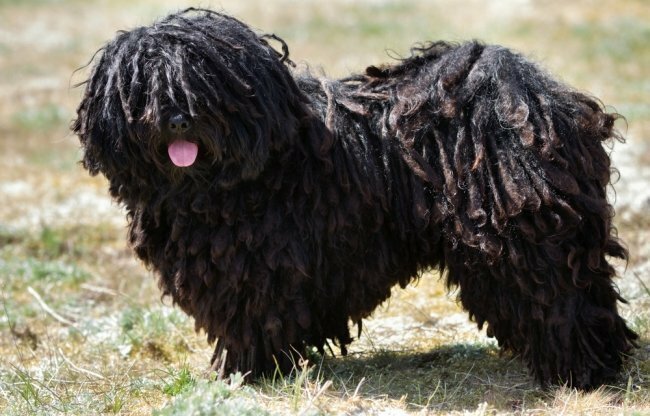 Your Puli will adapt to farm or apartment environs and can do well in just about any climate. Because of the animal’s energetic life, it needs everyday walks and loves agility along with obedience exercises. 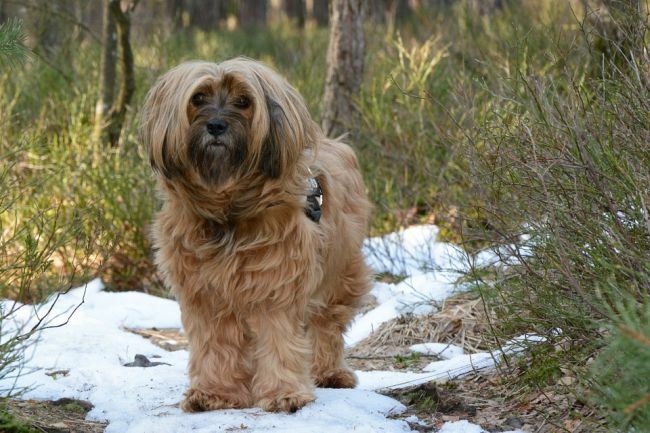 Despite this long-haired dog‘s name, it is not a Terrier but is more related to the ancient Tibetan dog that is the ancestor of Lhasa Apso and other herding breeds from Eastern Europe. This canine is sometimes referred to as a holy dog since the Tibetan guards the Tibetan monasteries. It was only in 1956 that the Tibetan was imported outside Tibet to the USA thanks to Dr. Henry and Mrs. Alice Murphy. The hypoallergenic coats of the Tibetan Terrier is ideal for harsh climates like Tibet. The dog’s outer skin has straight or slightly wavy hair that is fine and long, while the undercoat is soft wooly. 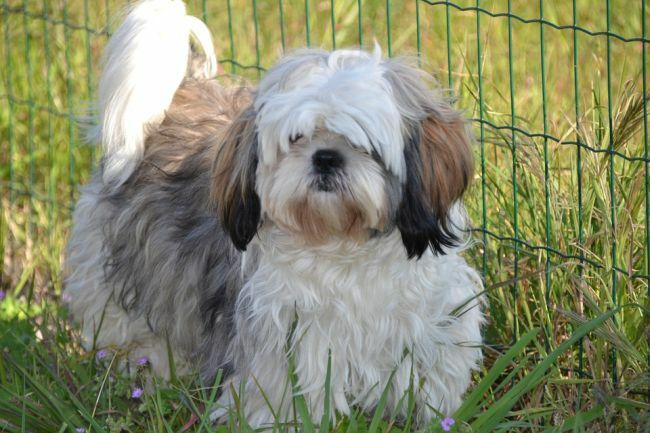 You’d certainly like the Tibetan Terrier’s charming, sensitive, friendly and eager to please personality. The dog is a dependable, gentle pet and it can have an adventurous streak as well. When it comes to kids, the canine likes to play and is affectionate with them. 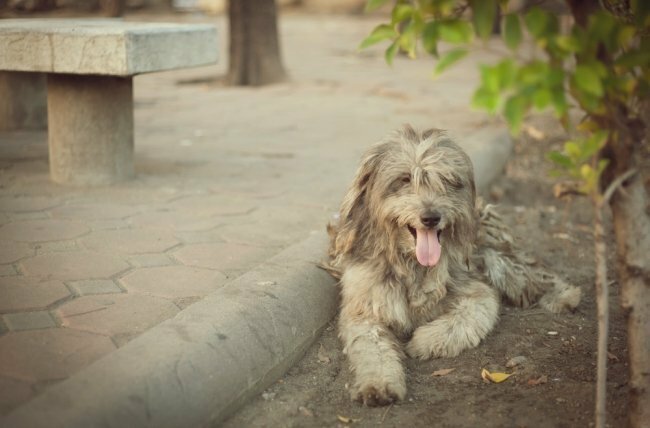 With sufficient exercise like say walking and running around in an open space, the Tibetan Terrier can live in an apartment comfortably. You can also clean up after your pet’s hair shedding (minimal) easily. Many long hairy small canine breeds like the Havanese are descended from the Old World breeds, and in the Havanese’s case, it’s the Bichon small canine types. The Havanese initially has different variations especially around those that are in the far-flung ports of the Spanish Empire. This particular breed is the Bichon of Cuba, and it is pet exclusively for those high on the social ladder. The dog’s hypoallergenic coat is double in size, yet soft in both outer and under portions. Hairs on the outer coat can reach 6 to 8inches long with straight, curly or wavy shapes. Most Havanese lovers like wavy coats better. The coat shed little hair making it easy for you to clean up after your pet. 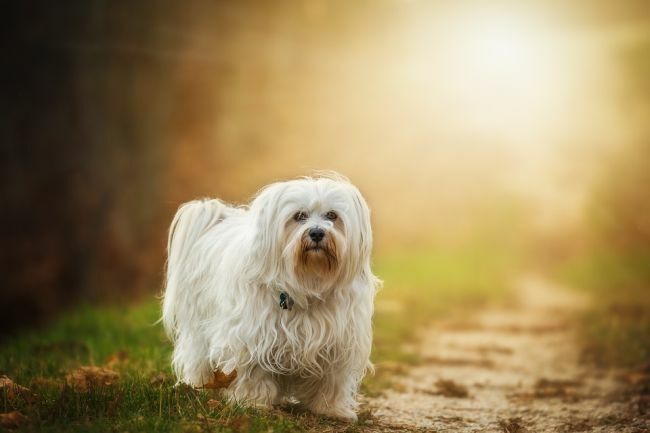 If you want affectionate small canine breeds that are long-haired, then the Havanese will suit you well. The animal is so loving that it prefers to be in the same room or at your side and it can even act as an alarm against approaching strangers. A Havanese can be rowdy, but it can be quiet and gentle with children. The dog’s size makes it perfect for apartment life and with some daily walks and playtime; it will be a well-rounded and balanced pet. The Maltese is another of those small long haired dog breeds that have ancient origins. The breed is one of the many Bichon types that are native to the Mediterranean Sea’s environs; this particular animal is named after the Isle of Malta. Maltese are related to the Barbet, Portuguese Water dog, and Poodle since they all came from the Spaniel stock. The Maltese is a beautiful animal and many people especially ladies love them for that reason. 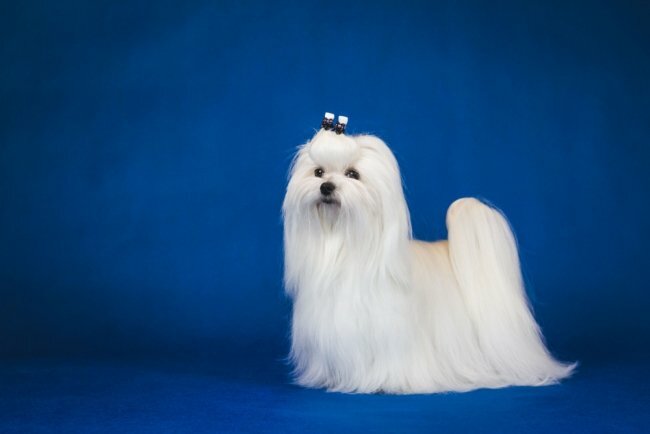 A Maltese coat hair is flat, long and silky white that hangs almost to the ground. For a canine with long coat hairs, it sheds minimally, and in case if you are allergic, it is also hypoallergenic. Maltese are such lovable pets that you might spoil them, and it is an easy mistake to do. Still, the dog is one of the gentlest long-haired dog breeds and has lots of energy, charming and intelligent. Kids can hurt your Maltese by accident, so it’s not a suitable pet for them unless you supervise them both. This canine is active indoors and adapts to an apartment or other homes. Your pet doesn’t need exercises in significant amounts. Indoor play activities and chases should be more than enough. This shaggy dog breed has a few written records of its origin though we know that it a Scottish animal. Nonetheless there some references on the earliest books that mention the Scottie. It was only in the 1870s that the Scotties speared outside Scotland through Captain W. W. Mackie who bought some of the dogs. Scotties excel in hunting rats, foxes, badgers, and other vermin though later in the turn of the century; the breed began performing in show rings. By 1930s Scotties was famous on both sides Atlantic, and one (named Fala) was a pet of President Franklin Roosevelt. 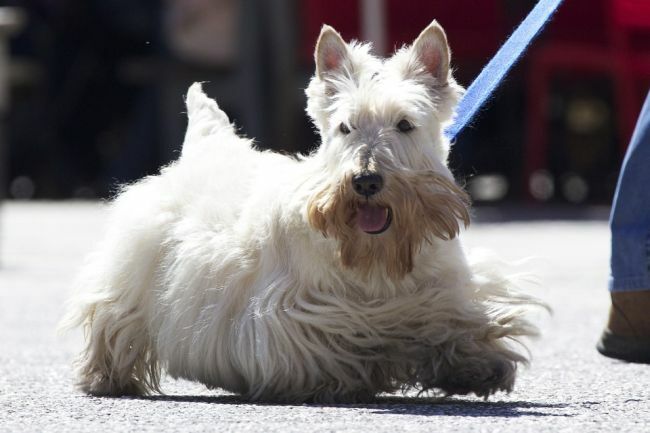 A Scottie’s coat hairs are a signature of the animal. The coat has a hardy, yet wiry coats and a dense undercoat that can reach 2 inches long. Eyebrows along with beard give the dog a keen and sharp expression. Determination, tough, feisty as well as brave best describe the Scottie, and it can be aggressive to other dogs or animals. But the dog can be friendly, sensitive and devoted to you and your family, though it can act reserved for strangers. While apartments are good homes for your Scottie, it prefers cooler climates, and it enjoys walks, runs or even a romp in a fenced yard. Rarely is it that long haired small dog breeds carry themselves like royalty…something that the Shih Tzu does with ease. Also known as “Chrysanthemum Dog” Or “Lion Dog” the Shi Tzu originated in Tibet as far as the 1600s. The current Shih Tzu was developed in the 1800s and a favorite of Chinese royalty such as Empress Dowager Cixi. Currently, the Shih Tzu is one of the long-haired dog breeds that are popular with a lot of people. Shih Tzus have a mantle of long, yet luxurious hairs that are hypoallergenic and sheds minimally making it easy for you to clean. Some Shih Tzus have clipped hair while others are long on their dense and double coat. As a lap pet, your Shih-Tzu is spunky, gentle, vivacious, and affectionate with an upbeat personality as well. The breed loves to hang around with your family and kids. The sweet and warm look on the dog’s face will endear you to it. Since the Shih Tzu shed little hair, it will be easy cleaning up the place. Since the Shih-Tzu is a lap dog, it will be comfy indoors and in apartments. You can play or do some everyday walks for your pet to keep it healthy. This diminutive shaggy dog may seem to be a one of the best lap doggie, but Yorkshire was bred to catch mice and rats that infest mines and mills. The breed is also capable of going after foxes and badgers in their holes. Yorkshires’ origins are uncertain though some suggest that Scotsmen working mines and mills crossbred the original dog with other breeds. 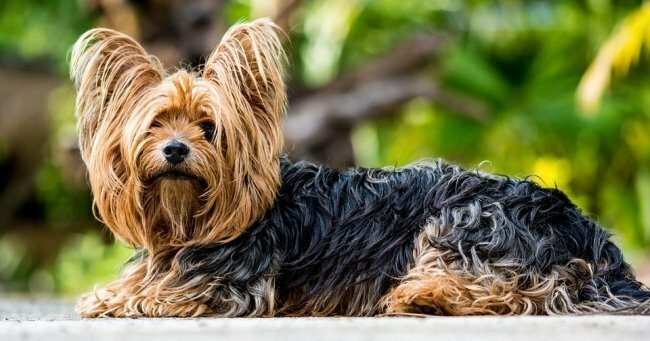 The Yorkshire Terriers are initially larger but was gradually miniaturized as time passed. Today Yorkshires are pets and fashion dogs. A Yorkshire Terrier is identified by its well-balanced, long hypoallergenic coat that is straight-flowing. Some Yorkshires have parted hair from its muzzle to the skull’s base and the tail’s end. The dog also shed minimal hair. For a small dog, Yorkshires are too brave when comforting larger canines, but it gets along with other pets. Nonetheless, a Yorkshire Terrier will be loyal, energetic and playful to you. Your pet can play with children though they need some supervision. Apartment or suburban homes are all suitable for the Yorkshire, and it likes warm climates. Indoors, the dog is active and playful, but it needs daily walks outside. ​Long hair​ed dog breeds are lovely and fascinating pets for you, but also need to do regular grooming along with feeding the dog with the right kind of food. Trimming the long coat of your pet to reasonable lengths should also be done when the situations warrant it. As long as you're willing to spend time, effort and money to maintain your pet's well-being, then you're responsible enough to own one. So whether you choose, big one or small dainty canine make sure that you give it lots of love and care. A gorgeous long-haired breed deserves such attention.